Component kit for the Lo-tech ISA CompactFlash board. 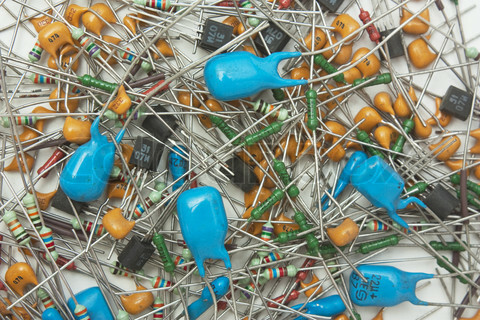 The component bag includes both through-hole and SMT components and one SST39SF010 or SST39SF020 flash chip (depending on availability – both provide 32KB ROM when used on this kit). 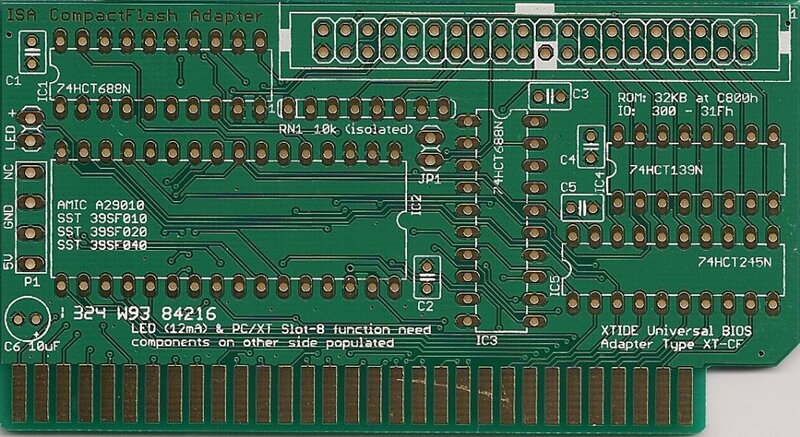 Note that only the through-hole components are required to build a functioning board (the SMT components can be just left off). Please see blog post for help identifying what’s in the bag. To build this kit, you’ll need a soldering iron (preferably temperature controlled), multicore solder, and some isopropynol to clean off soldering residues when it’s done. Soldering is made very much easier with some good-quality flux, which is definitely required for SMT components.